While a smaller event than some years the Toto Trot this year still managed to raise over $500 for our designated beneficiary. Twenty-six people and 19 Cairns participated. We had support from Cairn folk as far away as Gold Beach. We had a nice walk through a park trail on a pretty pleasant summer morning. Not too hot and the showers didn't start until we were all packed up and on our way home. Perfect for people and dogs! Helping us with the Oz theme we had two great Dorothy's — here's adorable junior Dorothy, aka Georgia. By great good fortune while planning the event I discovered we had a piper in the neighborhood and Alex Smith graciously gave us a proper start to our walk. I put some photos on our club album here. Members sometimes add more photos later — nudge nudge . 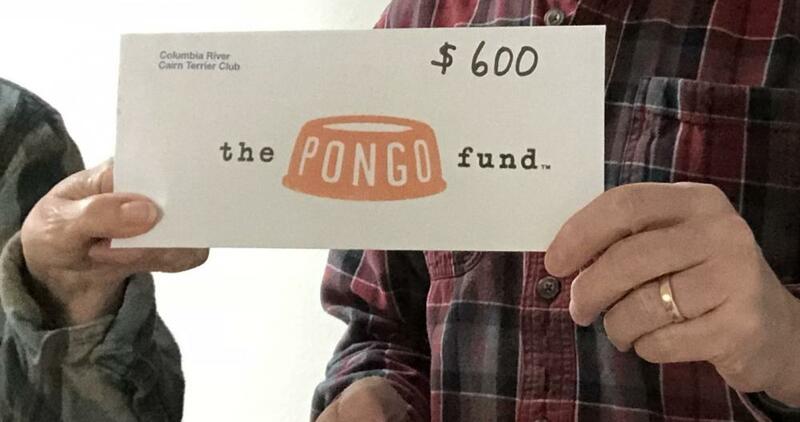 Thank you to all who supported our club and The Pongo Fund with your participation in the Toto Trot.